Official The Four Elements - Earth Theme for Sony XPERIA™Tested onXperia Devices: XZ2, XZ2 Compact, XZ1, XZ1 Compact, XZ Premium,XZs, X, Z, Z5, Z5c, Z3, Z3c, Z2, Z1, Z1c, E3, T3, M4, XA, XA1, T2,C4, Z, Z2 Tablet, Z3 Tablet Compact, Z4 Tablet, XperiaTouchSpecificationsXPERIA™ Themes can customize over 300 graphicalassets.Style everything from lock screen and home screen wallpapersto icons, colours and buttons.Requires Android 5.0 andaboveDownload gorgeous and high quality themes developed uniquelyfor your Xperia smartphone from Sony Mobile. Download yourfavourite theme and personalize your phone today!Theme Contains:◾Wallpaper◾ Lockscreen◾ Color schemes◾ Action bar◾ Status bar◾Apptray button◾ Apptray pane◾ Backplates◾ Folder Icon◾ Navigationbuttons◾ Animated backgroundPlease note that the theme may lookslightly different on different devices and Androidversions.Designed-with-Theme-Creator-for-XperiaVersion:2.0.0Xperia™ Theme CreatorMake your own theme with our free Xperia™Theme Creator available for PC, Mac and Linux. Follow the link toget started:https://developer.sony.com/develop/smartphones-and-tablets/theme-creator/get-started/Ifyou publish your theme on Google Play, we recommend that youclearly state in the description that it is a theme for Xperiadevices, and that you include the string“Designed-with-Theme-Creator-for-Xperia” in your description – inorder to make it easier to find your theme. However, please notethat you are not allowed to use Xperia or Sony in your theme title,package name, or any included graphical assets without explicitpermission from Sony.Have fun – and good luck with your themedesign!This application uses analytics software to collect andaggregate statistics to help us improve this app and our services.None of this data can be used to identify you. Yandex Launcher is a smart app that lets you both customize yourAndroid phone to suit your style and needs, and optimize yourdevice. Popular features • Wallpaper collection and themes – chooseone that suits for your mood • Fast search – look up contacts andapps on your phone and online • 1-Tap Boost – automatically closeunnecessary processes on your Android device • Clock & Weatherwidget – see the weather forecast for today and the week ahead •Recommended apps – get recommendations for apps from YandexLauncher • Personal recommendations – view interesting contentpersonally selected for you by Yandex Zen PERSONALIZE YOURINTERFACE Wallpapers: Enjoy built-in collections of wallpapers,such as landscapes, cities, animals, space, sports and more – thesecollections are regularly updated. 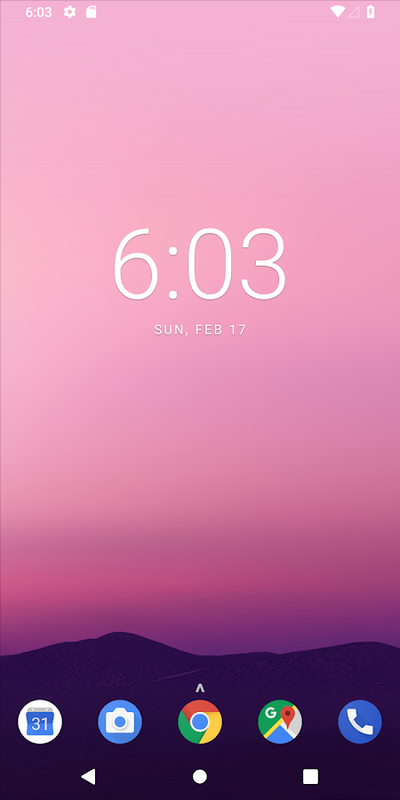 Live Wallpapers are alsosupported. Themes: In addition to classic light and dark themes,you can set the colors of menus and other interface elements inYandex Launcher. Apps menu: Navigate your apps with ease – YandexLauncher arranges your apps by category or color. Stylized icons:Use one of many built-in stylized icon packs for Yandex Launcher,or download third-party icon packs. “All apps” button: Choose thesize, color and shape of the button that opens the app menu – forexample make a star with a zebra skin, or a round circle with adog’s face. Home screen manager: Change the order of screens,select which one to see first, remove the ones you don’t need, addnew ones and switch on infinite scroll – all in one menu option.Screen grid: Change the number of icons displayed on screen andtheir size. CONVENIENCE FOR YOUR PHONE Quick search: Swipe down onthe main screen to open quick search to find your contacts,applications and information on the internet. Speed: YandexLauncher works quickly on all devices regardless of theirgeneration. It won't slow down your system, and animations runsmoothly even if you're using an older device. 1-Tap Boost: Tracknon-essential processes that are taking up your phone’s memory andclose them in just one tap with this widget. Clock + Weather: Seenot just the current time but the forecast with this weatherwidget. Smart folders: Give every folder its own screen withwidgets and a background. Icon color search: Find an app by itscolor even if you forget its name, or what category it belongs to.Notifications: See when something new has happened with your appsso you never miss an important message or update. Notifications onicons can be disabled in the settings. DISCOVER SOMETHING NEWYandex Zen: Swipe right from the main screen to see an unlimitedfeed of articles, videos and other content selected according toyour interests. The more you use Yandex Zen, the better yourpersonal selections will become. Recommended apps: See new appsrecommended to you based on the apps you already use – just add theRecommendations widget to any screen or folder with Yandex Launcherfor Android. TAKE PART IN YANDEX LAUNCHER DEVELOPMENT All YandexLauncher updates go through beta testers first. To try out thelatest version of the app, sign up for the beta here:https://play.google.com/apps/testing/com.yandex.launcher. Shareyour feedback by emailing [email protected] or leavecomments on the official Facebook page:https://www.facebook.com/yandexlauncher/. The Yandex Launcher teamgreatly appreciates all your comments and will carefully considerthe most popular ideas sent in.